What we do makes a measurable difference for our clients and their customers. We work with ingenuity, passion for our craft and a touch of the extraordinary to make great things online. Blending open source tech to create an engaging online game. A site as friendly and informative as PapaKata’s customer service - and it generates warmer leads too. We increased Preston Baker’s instructions by 282% by focusing on what the customer really needs. Collaborating with creatives to turn beautiful magazines into gorgeous, responsive digital content. We work with clients of all shapes and sizes to help solve challenging problems and make the most of new opportunities. We migrated wagggs.org onto a cloud-based hosting platform putting them in a strong position to serve their global audience of 10m users. We were recommended by the makers of our favourite content management system, Wagtail to the good people at The World Association of Girl Guides and Girl Scouts. The Manor Rooms on the Drewton Estate is a new wedding venue being built in the rolling hills of the East Yorkshire Wolds. We ran a brand development workshop and created a confident, quirky identity to express their brand values. North Yorkshire Police’s legendary Crucial Crew workshops have used fun and games to equip thousands of primary school children with vital safety skills. 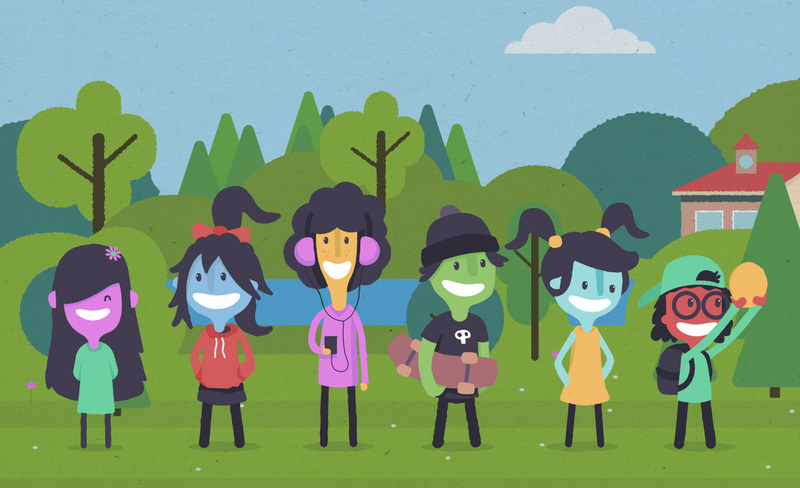 We created an online game to build on the lessons learned to keep kids safe as they prepare for secondary school. When Explore York expanded its proposition into Media Arts, we were asked to create a playful new identity to extend their brand. Our logo is creative, edgy and inclusive – three of the traits we identified through our brand workshop. 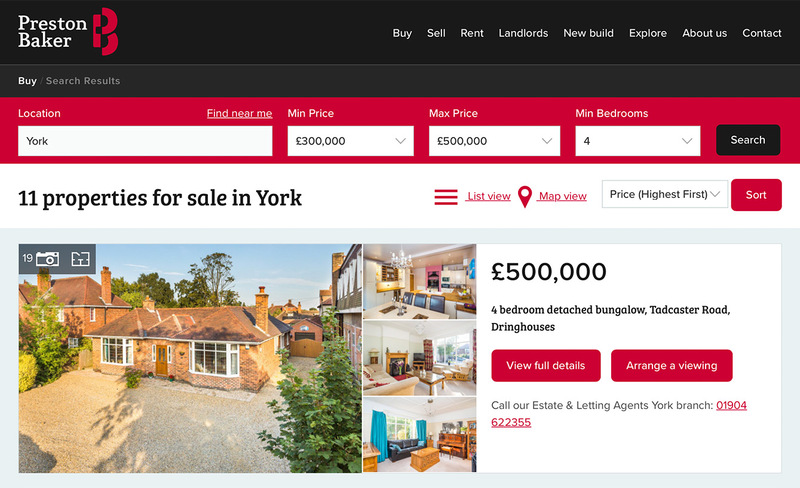 Yorkshire’s fastest-growing estate agency wanted a new web presence to express its exciting new brand and attract more customers. Preston Baker’s website is now at the centre of its marketing strategy, as its biggest revenue-generating asset. In the first 12 months after launch it delivered a 12x return on investment. Here’s how. PapaKåta wanted to attract warmer leads for its sales team to nurture through the journey of planning their perfect party. We planned, designed and developed a website to give prospective customers exactly what they need. We worked with medical research charity the Wellcome Trust to make their internal learning and development resources easy for their whole company to access anywhere on any device. Learning resources are grouped by role and type and our handy search tool helps narrow down several hundred resources into just a handful the most relevant pieces for each employee. Wetherby-based architects Wildblood Macdonald were looking for a confident new brand and beautiful website to showcase their work, their team and their process to prospective clients and the media. It quickly became an effective online marketing channel, bringing in a regular stream of new business enquiries. You’ve got to see their stunning work. We’re really proud to say York St John University was our first York-based client. We’ve worked with several departments and faculties and created Christmas marketing campaigns, creative magazine websites and a bespoke music player. Personal finance is a competitive marketplace, so when Ardent asked us to help reposition its brand, we knew we had to make them stand out from the crowd. Using smart market insights, we gave the branding a thorough sprucing and made a new website to give their online marketing a boost. See for yourself what we did. In our brand strategy workshops, your team and ours roll up our sleeves and get stuck in. We ran a series of brand strategy workshops with a NHS senior leadership team to help develop a new identity for its Technology Enhanced Learning proposition. If you’ve got a proposition that needs stripping down in the workshop, get in touch. Velresco used to call themselves Operational Performance Improvement Specialists. Now they tell the world they make business operations run like clockwork – much better! We created a confident new identity around their vision. Here’s how Plump does elegant, confident branding. Local chef and author Sam Stern needed a website to express his personality and build his brand. He’s been writing books since he was 15 and asked us to help promote them - and bring a bigger audience to his mouthwatering recipes. Through good user-focused SEO practices and smart design principles, a number of Sam’s recipes out-rank websites like bbcgoodfood.com and even nigella.com. If you’re a foodie, you need to see this. Thrilled to take on a project for the UK’s number one children’s charity, we enjoyed creating a game to support online campaign Text Santa. The brief was to raise awareness and compassion for poverty among single parent families. Like to know more about it? Give us a shout. We help Yorkshire Film Archive with their digital marketing to encourage people to engage with their content. We created CineSecrets - a clever little campaign to get people discussing their films. The Higher Education Academy runs a series of events each year aimed at academics. They asked us to create a suite of event guide apps to support their conferences as a cost effective alternative to printed guide books. Get in touch if you’d like a demo. Plump was the proud creators of Rizla’s UK website from 2011–2014. Our online marketing campaign increased their subscribers by 66% with a more engaging website, a bespoke media player, several games and Christmas competition. If you’d like to have a nosey at what we did, please get in touch. We created an online game to support the product launch of the new adizero golf shoe back in 2013. It was released it on the adidas website as well as on iOS and Android smartphone and tablet apps. Get in touch if you want to have a play. Our online shop helps Tarte & Berry to market and sell their goodies online. Their customers can order tasty treats online securely whenever they like, so everyone wins. Check out the goods. We created a new website for the IGGI Programme – The University's Centre for Doctoral Training focussed on Intelligent Gaming & Gaming intelligence. The purpose of the website is market the course to prospective students. Get in touch if you'd like to have a chat about it. Let's work together. Call Rob on 01904 619 268 or email me.